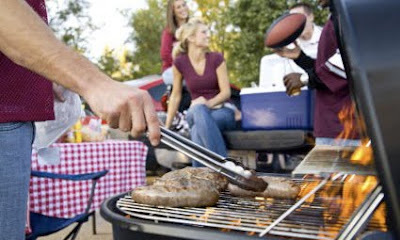 Yes, here we are again for week # 13 - Time for football, food, coolers full of cold ones, and game day buffets. Bring over your chips and dips, chili and chowders, all your wings and party things! Here are a couple of sweet treats that I will be bringing to the tailgating party today. Sweet ripe plantains and guava cheese snack. Gingerbread liqueur, and it was so good! I topped some Cuban crackers with cream cheese and sliced guava paste. It is good with any mild white cheese, like a Mexican cheese or farmers cheese even fried cheese is tasty. That reminds me I need to make that again, it's been awhile maybe for next week! I guess you can call this some Florida snacks for the football game! It is a day full of flavors! Now that's a good bite! Have some! Lyndsey, I missed not participating the last couple of weeks. Today I'm bringing a cake, we all need dessert, right? Thanks for hosting and hope you're having a great weekend! Brenda, thanks for bringing dessert! We missed you...happy your back. Dianes, can you find them frozen? You could always use bananas! Guava paste, galletas Cubana, and plantians my kind of snack. Now the gingerbread liqour was new to me. Interesting addition. I've never seen the gingerbread liqueur...I must hunt a bottle down. Good thinking about the ripe plantine..they look fabulous! Whoa this is so super unique! I adore any plantain recipe and I can't wait to try this! Ivonne - Ha! I knew you'd like it! Alex - Thanks hope you can try it. The cheesed-stuffed dates with Prosciutto sound wonderful! Lazaro - I tried it once istead of adding brown sugar, butter and cinnamon and it was so good with the ripe plantains. Now I keep a bottle on hand just for that dessert. Susan - the cake sound delicious! Could you use guava jelly instead? 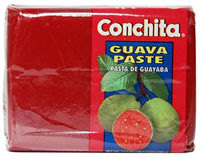 I could always send some guava paste to you, let me know! Bo - you would enjoy it. I keep a bottle just for this. It's good over ice cream too, or in coffee. 3 hungry tummies - thank you! All this talk I want some more! Joanne - thanks, I'm sure you'll enjoy it. I love all plantain recipes too! This looks so good. I like plantain but never cook it - I always wait for someone else to cook it! And the guava paste reminds me that I still have the package that you kindly sent me. I will use it this weekend. Yum. Love the plantain out there. When I saw your picture of plantains I felt so homesick for a second. I wish I could have some. Now I need to look for some gingerbread syrup and try this whole plantain thing again! This looks great! interesting snacks - I've never tried these before! thanks for sharing - its looking good. Hi Lyndz, sorry! I'm late for this! I've been busy. Will write to you soon. Thanks for showing us all the info and your sweet plaintains look really yummy too. Love Plantains! And, although I've never had guava paste, I do like guava jelly, so I'd bet this would be marvelous! Lovely! I have never coooked with plantains and your recipes is really tempting me to try them. Never heard of gingerbread syrup. but I knowit just has to be good! Now that I know this product exists...I'm going to be on the lookout for Gingerbread liqueur. I could imagine using it quite frequently. Thanks Lyndsey for bringing it to our attention. Gingerbread liqueur?? Is that a seasonal thing? Pru, thanks, there are lots of goodies you can make with the guava paste. I like turnovers with cream cheese and guava paste. Hope you like it. HH _ wish you could come over for some! Megan that's funny. It's easy to let them get ripe, but they are good this way too. The gingerbread liqueur is so good on this. jen cheung - thanks, it is fun discovering new snacks! Kristy - thanks, happy you are back! Talk to you soon! Cheers! Rita - thanks that's so nice. Ripe plantains are sweet like bananas but the firmer texture is a little easier to work with in dishes like this. LdyRoxx - nice to meet you. Martha and I have met in Nokomis over the summer. Where are you? Claidia - I thought of you when I made this, you like to use liqueur in things. I've used gingerbread liqueur in French toast! Rebecca, you deserve all the kind words you get!! I sure hope to meet you in person too! pigpigscorner - I think it might be. I got the first bottle around the holidays and now's the time to find it! Sweet Plantains and cheese with guava paste yummmmmm.....I have to look for Gingerbread liqueur, too good dear ! 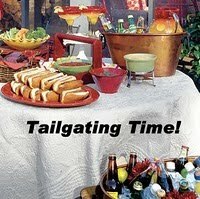 I keep forgetting about the tailgating time. Maybe next week. These look super scrumptious! Sounds like your having so much fun with sharing of food with your friends. I love the plantains and guava combo!That looks delicious!